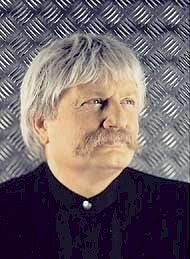 The popular and prolific composer Karl Jenkins was classically trained at Cardiff University, Wales and The Royal Academy of Music in London. He worked successfully in jazz and media advertising for many years and won awards and attention for “Diamond Music”, used by the DeBeers Diamond Merchants, and “Adiemus”, which was used in a Delta Airlines commercial. Since that time, he has found international recognition creating gorgeous, vibrant choral music that transcends conventional musical boundaries. Fellow Welshman Bryn Terfel, the bass-baritone star of opera and concert stage, has described Jenkins’ works as “always impeccable writing for a multitude of voices and instruments. 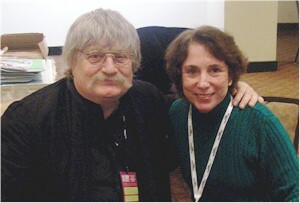 I wish I had his talent to compose but am proud to consider myself as one who adores to sing them.” Some in our audience today may remember the dynamic music of Karl Jenkins from our previous concerts in 2007 and 2009, and also that we were privileged to meet him when we sang in the United States premiere of his Stabat Mater at Lincoln Center in New York City. The Te Deum is an early Christian hymn of praise that was traditionally credited to Saints Ambrose and Augustine on the occasion of Saint Augustine’s baptism by Saint Ambrose, although more recent scholarship attributes it to Nicetas, Bishop of Remesiana in the Fourth Century. Karl Jenkins composed this Te Deum for the Liverpool Welsh Choral to celebrate Liverpool’s year as the European Capital of Culture in 2008, and it was first performed by the Liverpool Welsh Choral and the Royal Liverpool Philharmonic Orchestra with Jenkins himself conducting. This jubilant and celebratory setting of the traditional Latin text perfectly demonstrates Jenkins’ remarkable ability to compose unique music that is enjoyed by everyone. The traditional text of the Gloria comes from angels who announced the birth of Jesus in the Gospel of Luke. The translation into Latin is attributed to Saint Hilary of Poitiers, one of the great Bishops of the Fourth Century. Originally commissioned for performance at London’s Royal Albert Hall, Jenkins’ setting of the Gloria uses the traditional Latin text for the first, second, and fifth movements: “The Proclamation”, “The Prayer”, and “The Exaltation”. Jenkins selected other related Biblical texts for the middle movements. The third movement, “The Psalm”, is a setting of Psalm 150 for which he provided both Hebrew and Latin texts, and Ms. Heidrich has chosen to use a combination of both languages. Verses from Deuteronomy, Psalm 144, and Chronicles I were adapted by the composer for the fourth movement, “The Song”, his sublime soprano/tenor duet. This work opens with dramatic brass fanfare and melodic, expressive choral harmonies. Jenkins’ lyrical music is always emotionally engaging, whether joyful and filled with excitement or reflective and touching. Hungarian composer and conductor Miklós Rósza is considered to be one of the founding fathers of film music. He was also one of the most respected and popular composers working in Hollywood and is regarded as one of the greatest film score composers of all time. He composed music for almost 100 films, reflecting all genres, including Ben-Hur, Quo Vadis, Ivanhoe, El Cid, The Asphalt Jungle, The Green Berets, Dead Men Don’t Wear Plaid, and Spellbound. 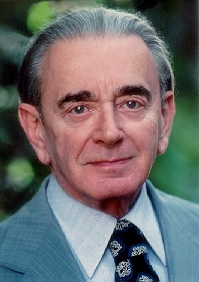 In a career that lasted over 50 years, Miklós Rósza became one of the most nominated composers in Oscar history, with 16 nominations and three Oscars. He also had three Golden Globe nominations and a Grammy nomination. The majestic King of Kings Choral Suite was created by Miklós Rósza for Metro-Goldwyn-Mayer’s great 1961 movie King of Kings and is a superb example of his remarkable creativity. Composed in the golden age of motion picture epics, his score is astonishing in its power and beauty, filled with awe-inspiring dramatic movements that serve to illuminate and enhance this classic adaptation of the life of Christ for the big screen. Released in 2010, the Choral Suite was arranged and reconstructed by Daniel Robbins, who studied orchestration with Rósza and knew him well.